Sometimes called a living will, an advanced healthcare directive details your choices for medical care in the event of illness or injury that leaves you unable to direct your own care. A simple and legally binding advanced directive can often be completed without the counsel of an attorney. 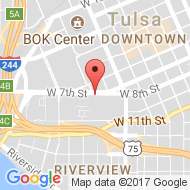 When matters are more complex, when you want to integrate an advanced healthcare directive with other personal planning documents or when you just don’t want to go it alone, it may be time to consult a Tulsa Oklahoma advanced healthcare directive attorney about how to prepare your living will. 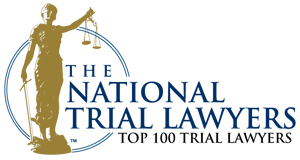 The Wirth Law Office offers free consultation for those in need of advice about an advanced healthcare directive and other medical planning documents. We’ll provide honest, confidential insight that can help you decide what kind of living will may be best for your situation. We don’t always recommend a lawyer’s help. Sometimes a pro-forma approach best suits a particular circumstance, in which case we may refer you self-help or free legal resources. To find out what might be the best approach for your advanced healthcare directive contact the Wirth Law Office today at (918) 879-1681. Unlike a power of attorney that authorizes someone else to make a broad set of decisions on your behalf, a living will specifies in as much or as little detail as you choose the kind of care you want, including who you want to make medical choices that can involve life or death. Because so many people find themselves incapacitated by illness or injury and the range of decisions that must be made are so broad, the American Bar Association’s Commission on Law and Aging in 1998 prepared a standardized living will form. 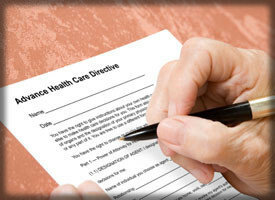 The Five Wishes form outlines the main areas of concern typically addressed in an advanced healthcare directive. Who will make healthcare decisions on my behalf when I can’t. What kind of medical care I want or don’t want. A pro forma advanced directive can sometimes be all you need to assure your wishes are honored. In other circumstances, it can provide a starting place for you to consider the range of concerns that arise when you are facing critical medical conditions. When a loved one faces end-of-life decisions or potentially life-threatening medical condition, the form can be a way to consider the kinds of concerns they may or may not be prepared to consider. If you plan on traveling out of state or to another country, you may need to consider the extent to which your Oklahoma Advanced Care Directive may be recognized and honored. Especially in circumstances where friends or family might not agree with your directives, it can be important to seek legal advice to be sure wishes are honored. Technicalities can render some or all of an advanced directive moot. For example, a directive witnessed by any person who can inherit your estate may be challenged. A Tulsa advanced healthcare directive attorney can advise you how to prepare for uncertainty that might arise. 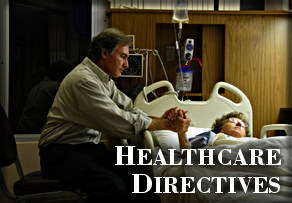 Your attorney can also make arrangements for safe keeping and enforcement of your healthcare directive. If you would like a free consultation with an Oklahoma lawyer about an Oklahoma advanced healthcare directive, call the Wirth Law Office at (918) 879-1681 (or toll free at (888) Wirth-Law) or submit the question form at the top right of this page.